Last week, I was asked to test a new revolutionary product called the GutenBrain. 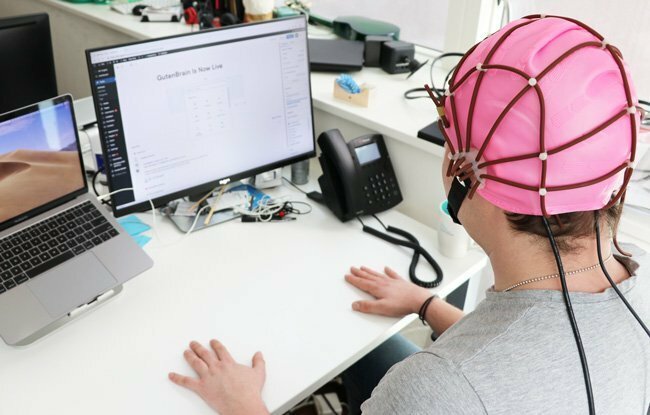 The London-based WordPress agency 93digital developed a ground-breaking headset that uses a BCI (brain computer interface) and artificial intelligence to control blocks and content within the Gutenberg editor, simply by thinking about it. In this blogpost, I’ll tell you my experiences with the GutenBrain plugin and why using GutenBrain could really do wonders for your SEO. GutenBrain is aimed to make the transition from working with the classic editor to the new block editor (also known as the Gutenberg editor) easier. Some people are struggling with the new interface. However, the Gutenberg editor, in my opinion, offers a lot of new opportunities for WordPress users. I am happy to support any project that is making an effort to make Gutenberg more accessible. I must admit, at first, it was rather silly to wear the headset. I needed to do some little tasks in order to align my brain with the Gutenberg editor. All in all, it was rather easy and fun to do. Once correctly calibrated, using Gutenberg is so very easy. You can move blocks around with your mind. If I want this block to move up, I only have to think about it. That’s just amazing. 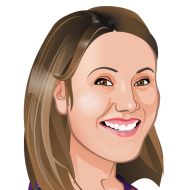 The very fact that GutenBrain needs you to think, just makes it a beautiful tool for SEO. GutenBrain forces you to think about text structure, it forces you to think about which block should come where. And that will do wonders for your text structure. And as we’ve been saying at Yoast, text structure is important for SEO! The technology behind GutenBrain is really inspiring. If thinking allows us to move around blogs, it could do so many other things. I’m curious to see what else the team of 93digital has in stock for us.